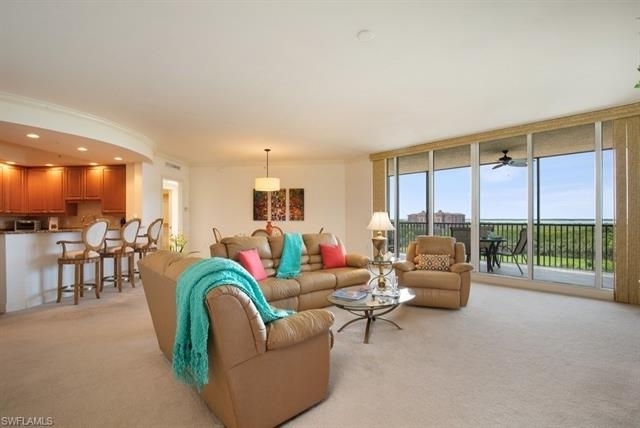 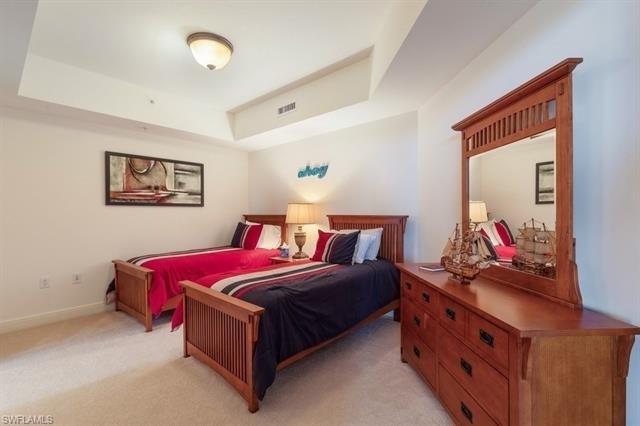 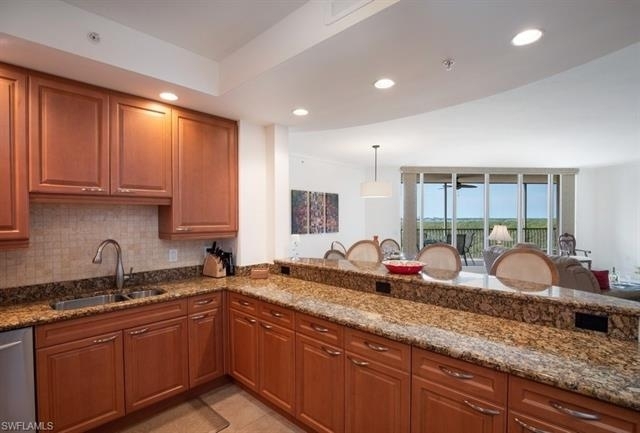 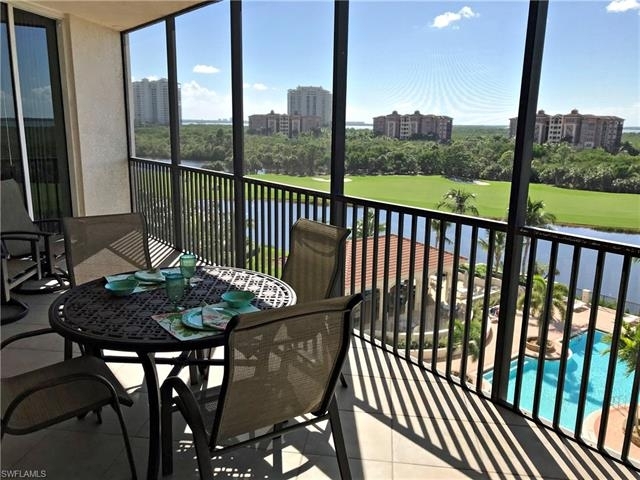 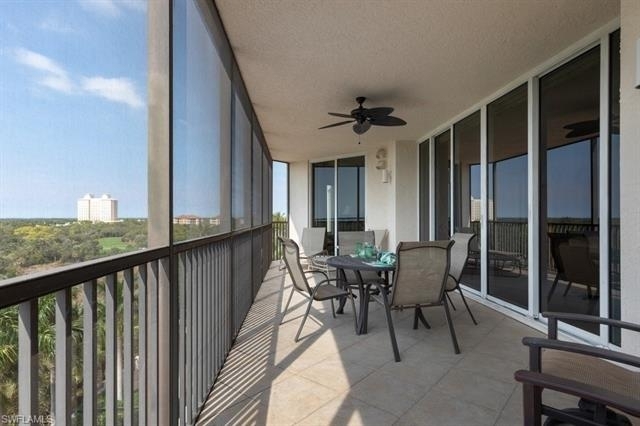 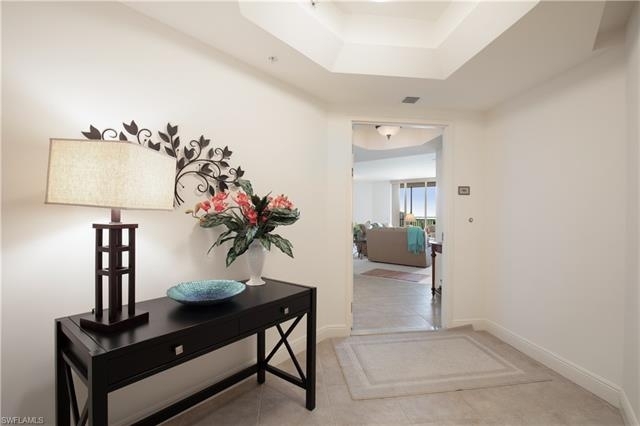 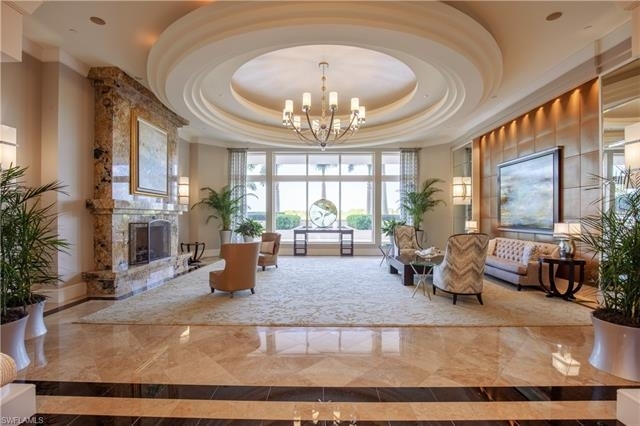 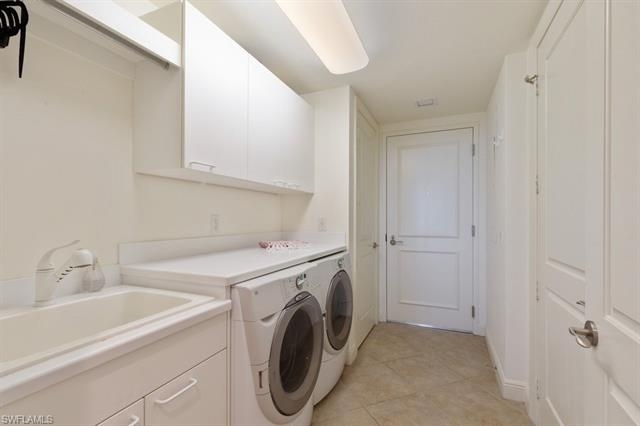 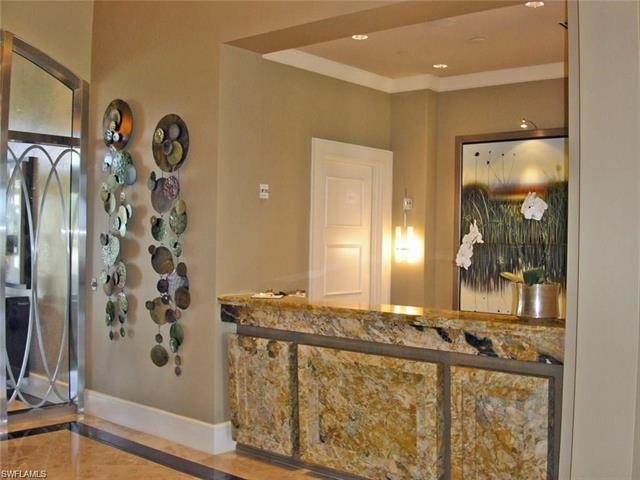 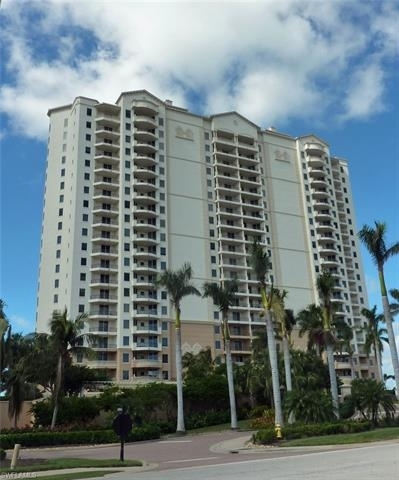 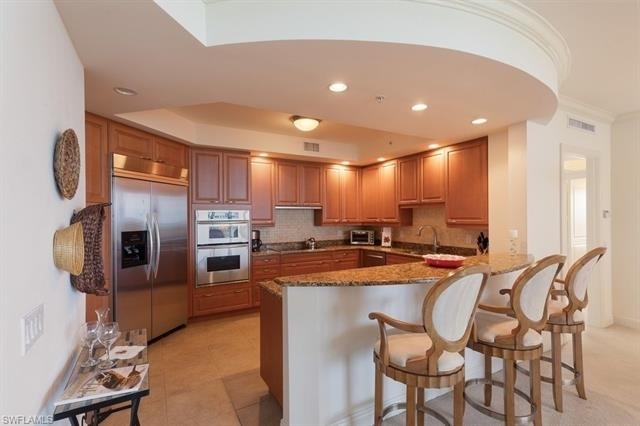 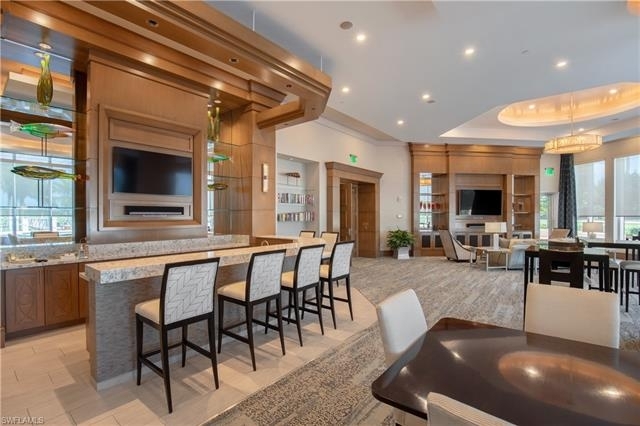 This is a beautiful 5th floor condo where you will enjoy spectacular sunsets with views of Estero Bay, golf course, lake and preserve from your screened-in lanai. 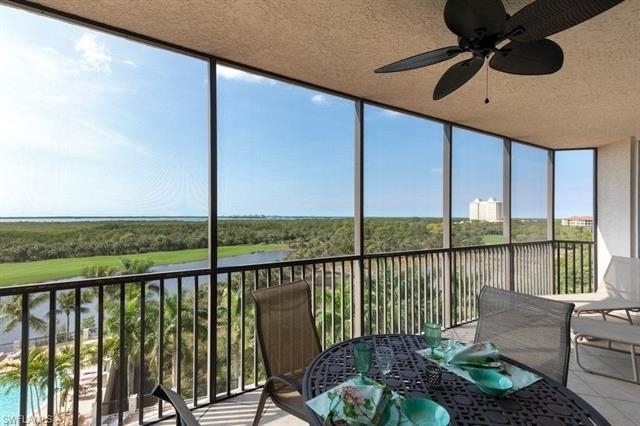 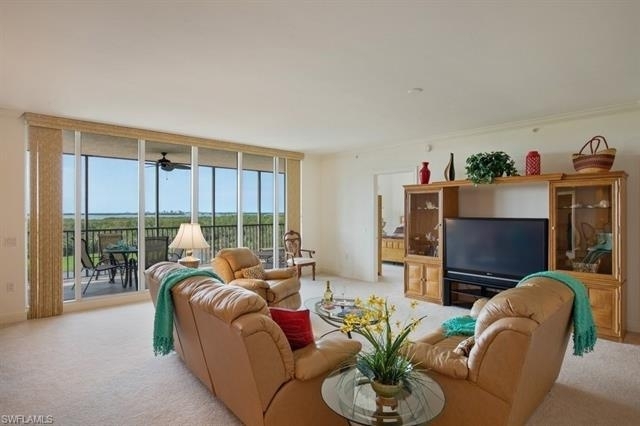 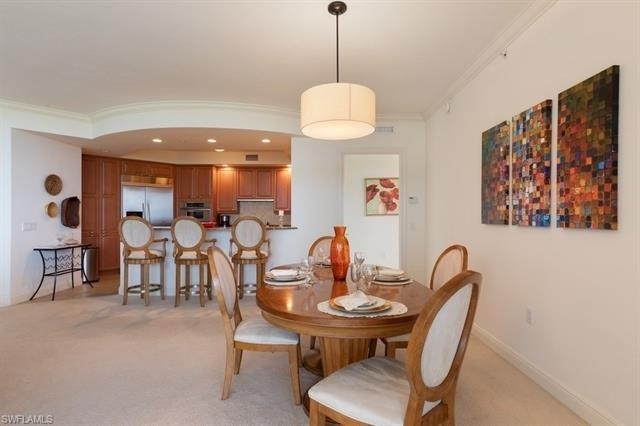 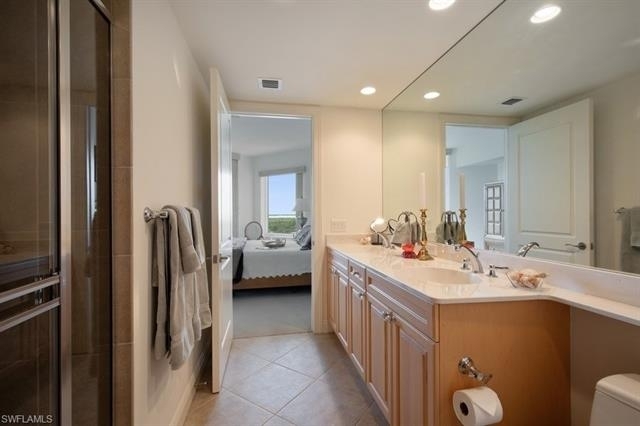 This 3 bedroom, 2.5 bath condo in the Florencia is located in the 800-acre gated community of The Colony at Pelican Landing and offers quiet, charming streets and an award-winning, amenity rich community providing everything for a perfect life. 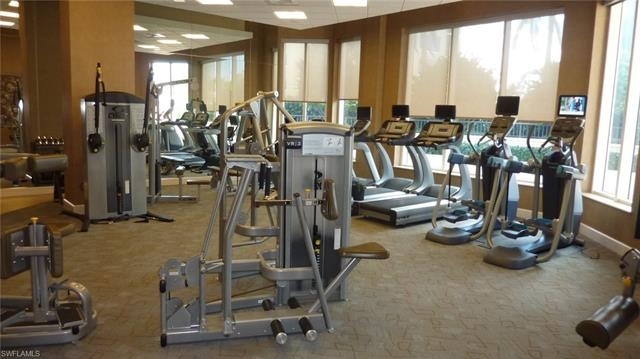 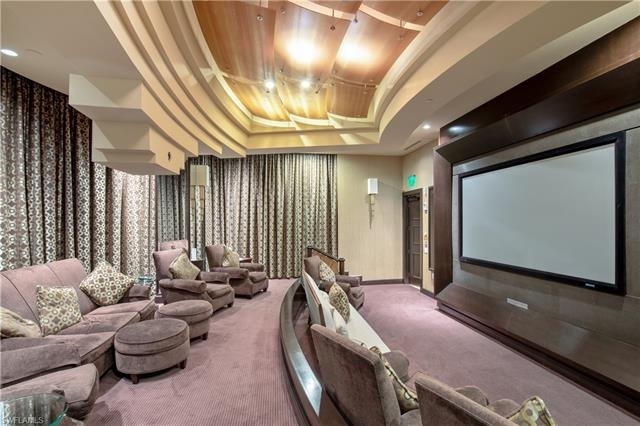 The building amenities include the grand salon, state of the art fitness center, private movie theater, two guest suites, spacious pool/spa area with a cabana and barbecue grills, social room, business center, two assigned under building parking spaces, assigned storage space and live-in management. 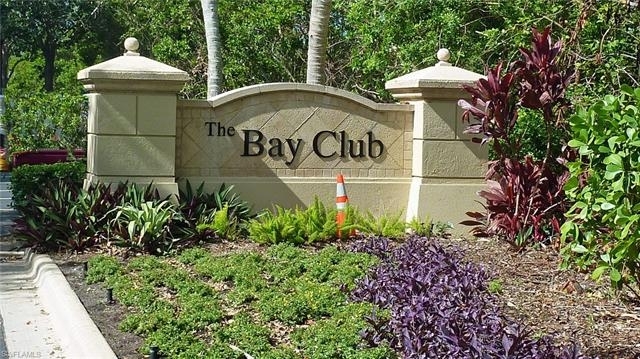 Additional community amenities include a private 34-acre island beach club with a water taxi, tennis, pickle ball, canoe/kayaking, sailing club and much more. 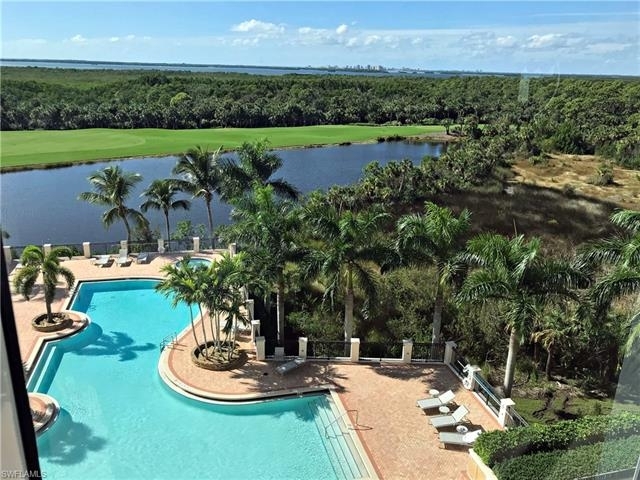 Colony Equity Golf Club membership is available. 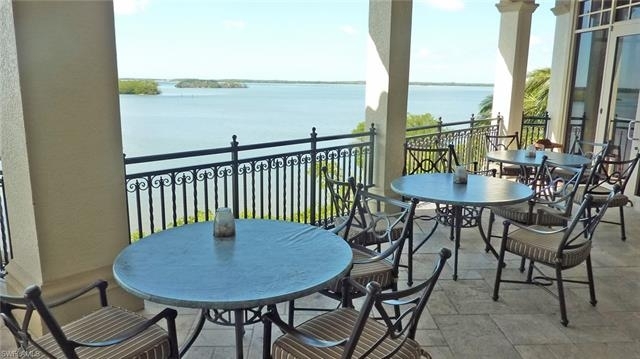 Don't forget to enjoy the complimentary continental breakfast at The Bay Club along with waterfront dining at its best!